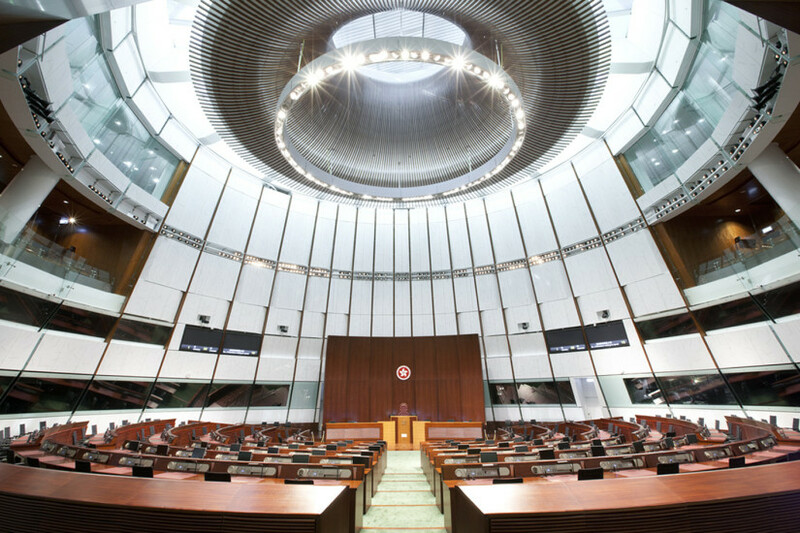 Built on the Tamar site at the harbour front of Central, Hong Kong Island, the Government of Hong Kong Special Administrative Region’s (HKSAR) new central government complex is composed of three principal facilities: the HKSAR government offices, the chief executive’s office and the legislative council complex. Shen Milsom & Wilke provided audiovisual and IT infrastructure design services for the award-winning architectural landmark. The design centered around four concepts: the “Door Always Open” represented new ideas and diverse cultures; the “Land Always Green” represented increased greenery in Hong Kong; the “Sky Will Be Blue” promotes less pollution; and the “People Will Be Connected” encourages citizens to visit the site. The complex accommodates 3,000 civil servants.